When Jaime Rodriguez was in the military, everyone used their per diem money to buy cars. They though Jamie was crazy because he got three bass guitars, Ampeg Amplification, and spent his off time sitting in his room, trying to figure out how to find his own singing voice. Jamie is a very dedicated musician who never stopped moving around the States (he practically lived everywhere). He found a lot of inspiration in fellow musicians and played with different bands, in different styles, managing to come up with some pretty sweet pieces in the process. Today he shares his thoughts with us. 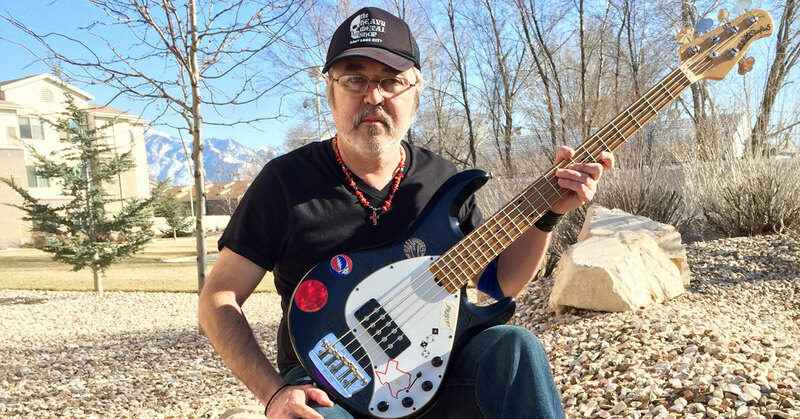 My name is Jaime, I am a bass player who has been playing bass since the late 80’s. For the longest time I never even owned a bass guitar but somehow I could play one instantly. Some of my friends were older than me and I would hang out with them and listen to them play cover songs and when they took a smoke break, I would pick up the bass and play. When they heard me, they would perk up and the bass player would scowl because he knew right away I could take his spot. The drummer would come into our space and lay down a beat and we locked into a groove right away. When I was like 11 or 12 years old I took up the violin in the Intermediate School Orchestra. Just to have such a fine instrument available to me felt really great though I didn’t know how to really play it like it should be played properly. I found out that I already had an ear for music because I was playing different parts that were different from the music I had directly in front of me. I went for a while without the teacher finding this out but one day he asked me to play a section and then he knew. He knew that I was playing actual music because I was basically harmonizing and playing combinations. I finally decided that I wanted to try and play the bass guitar but my father shot down that idea right away. I knew that one day I would be able to get an instrument of my own but that didn’t happen till way later after my parents went through a divorce. What have you learned with other musicians you have played with? Every musician I have played with before made an impression on me in one way or another. One person may have an amazing sound, another can write great songs or another may have an expanded ability to improvise and play for a long time without losing their grip. Sometimes you get along well with the band or there is an unspoken conflict but everything is relevant. Tension between members can produce great music and you can usually hear it in the recordings. I used to carry a Marantz Pro cassette recorder and set it up with a boom stand in the far corner of the room. I would then take it home and review it and was able to hear a lot that some would soon forget. It was my way of hearing good parts and working on them and stay sharp and improve my recall. I have come across some real characters in bands and in the music scene but then again I am sure they thought that way about me. Those experiences have made me into the musician I am today. Right now, I am just working on sections and developing my music for the feeling and expression I come up with and stay in the moment. Good things are happening as I am playing more guitar, keyboard and bass. I am real satisfied with what I am hearing right now. I never really auditioned for a band. It was more like we would meet, they would see my equipment and they would know that I was ready to go and start playing right away. I guess the exception to that is when I started playing music in Texas. I had all my equipment stolen but I worked twice as hard to get it back. Musicians from Houston were way different than Seattle. More rough around the edges and it took some time for me to get into a groove. Some personalities are jammed with a lot of ego and I don’t care much for that but, for me, it created a tension in the music that strengthened it at the same time. There isn’t really a music scene in Houston. It’s not like Austin cause there are even fewer places to play there now and you end up playing for the same 8 friends who show up on a weeknight and maybe once on the weekend. It’s not impossible but it’s just hard to stay interested when you experience that. It’s a thankless job and you really have to like the pain. I have some personal selections and bands but there are so many gems to be discovered… I do recommend Swans, though. You may not like everything but they are worth checking out. 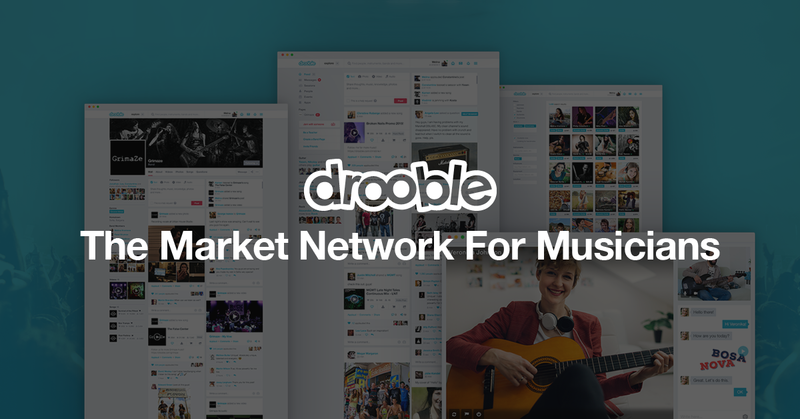 As far as what I can see, I think Drooble is a great idea. 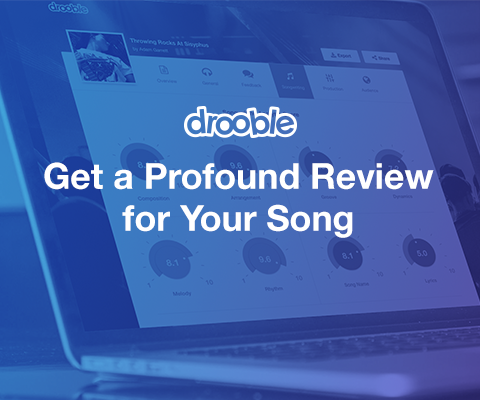 It is a great place to share music and hear how other musicians have developed their sound. I also think that it is a fun place to do this. Why do it if it’s not going to fun? We are really all in this together and even though we live across the planet from each other, we are able to get into one universe and I really like that.